By buying this product you can collect up to 240 bonuspoints. 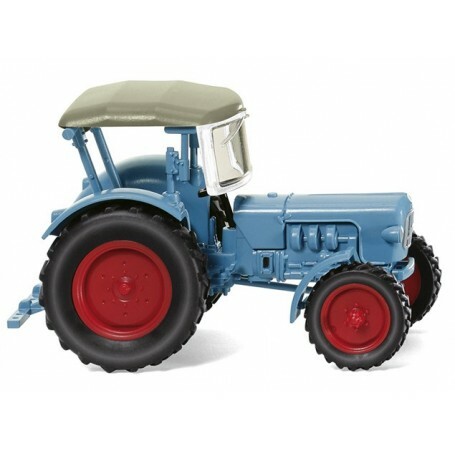 Tractor 'Eicher Königstiger light blue, 1959. Chassis with axle mounting, fenders and rear hydraulics in Eicher light blue, wheels in red. Exhaust, steering wheel and seat black, wheels red. Roll bar light blue, roof olive-grey. Eicher lettering on radiator grille in red. Radiator grille border with grille bars painted silver. Tank lid and decorative stripe on hood as well as ventilation grille on driver's side also painted silver.